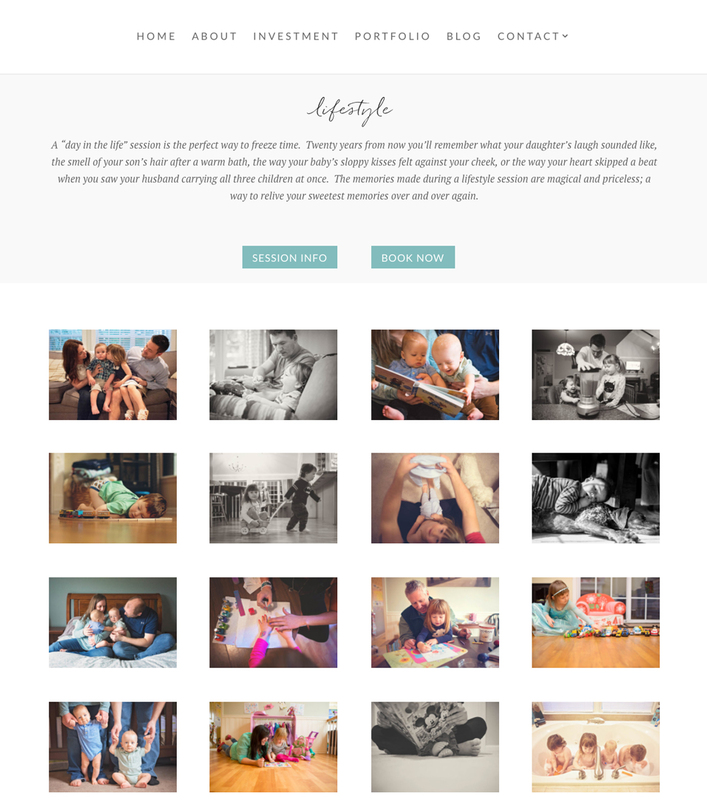 Meg Mosher Photography: Family & Lifestyle Photographer - Verity & Co.
Today I am so very excited to announce the launch of the new brand and website for Meg Mosher Photography, a family & lifestyle photographer based in Albany, New York. 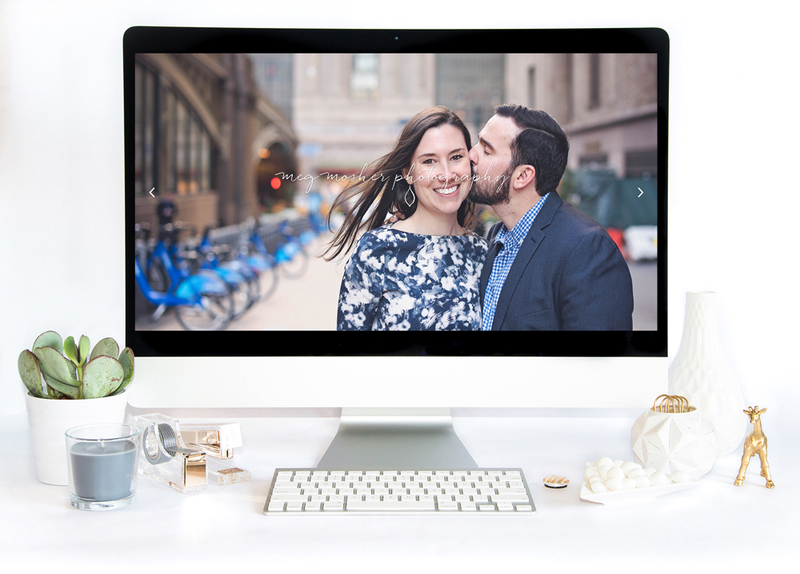 As a lifestyle photographer, Meg brings a natural and relaxed element to her photography that makes the personality and love of the people she is capturing just shine. Meg is passionate about capturing beautiful moments and turning them into everlasting memories, and she pours her entire heart and soul into her photography, her clients, and her sessions. Meg chose a theme-based design & development package because she already had a look, a style, an idea in mind for her website. 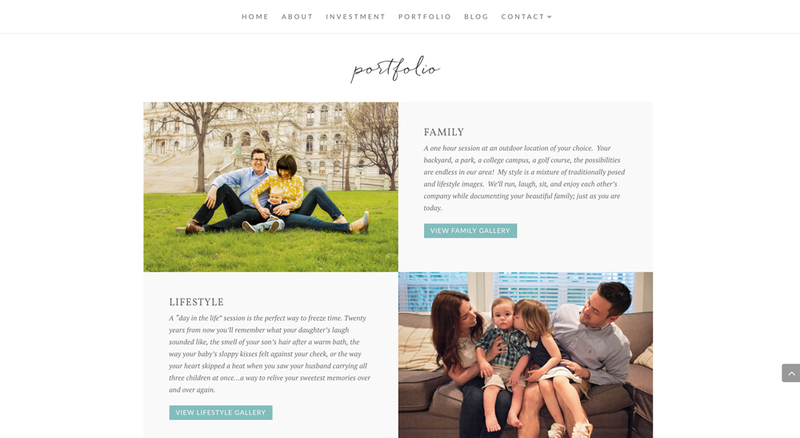 Her old site was dated and, quite frankly, not up to par with the growth her business has been experiencing and the dreams that Meg has for her photography moving forward. I love small businesses expand to the point of outgrowing their branding and their space online because it validates what they offer as entrepreneurs. We used the basic branding of this particular theme to inspire her logo, featuring the beautiful handwritten script, and the natural elements to guide the color scheme with the teal as the pop of color. Even though we worked from the basis of a theme, we semi-customized it to fit Meg’s vision and her unique business. The Meg Mosher Photography home page is a beautiful full-width design, featuring full size images of her work as you first view the site, followed by info on Meg, her portfolio galleries and what each session is about (lifestyle photography is a category, but believe me–Meg brings the lifestyle approach to all of her sessions! ), glowing social proof from happy clients, and ultimately leads to a form to contact Meg and book a session. That’s the goal of the website, after all–to gently guide your audience to take action on your primary thing! Meg and I would be thrilled for you to check out her new beautiful space! Peruse her galleries (seriously, they’re stunning), learn more about her as a lovely individual and photographer, and read through some of the sessions she’s blogged.